You may recognize VSCO as the robust photo editing app available to smartphone users that enjoy shooting and editing via their phones. Or perhaps you recognize their filter and film packs that work in Camera Raw and Lightroom. 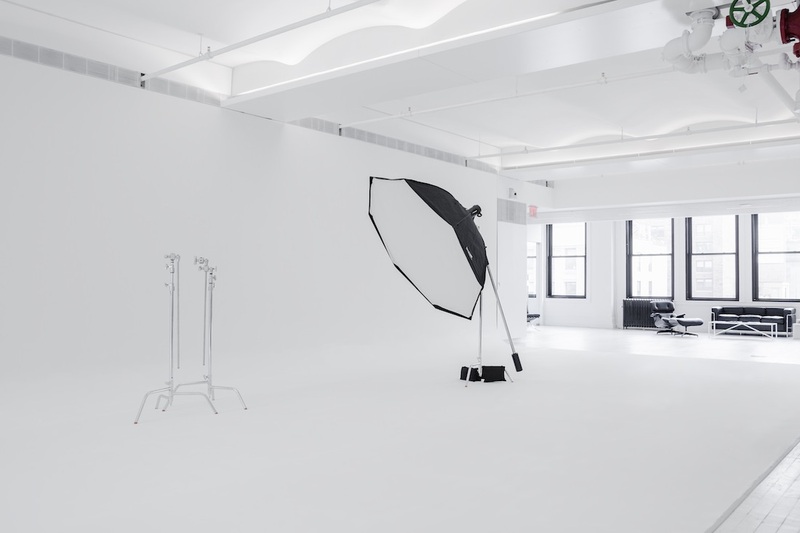 For those who live or regularly work in New York City, VSCO is offering a new option to help aspiring and pro photographers get the studio space they need. Today, the company unveiled VSCO Open Studio, a space within their NYC offices that allows photographers to rent studio space for their projects. What’s nice about Open Studio is that VSCO is offering the space for free. However, in their FAQ the company does note that any damage to the space or borrowed equipment is out of the photographer’s pocket and VSCO does charge a $250 deposit that will be forfeited if the space is session is cancelled less than 72 hours before. Each is session is about two hours, and VSCO only allows six people max. It’s an interesting, and apparently very popular idea, as VSCO is already full up on applications for session time. For more details check out the press release below. We’ve also included their FAQ for more details. It’s expensive to rent studio space for your passion projects. We get it. It’s why we decided to open up the VSCO NYC office to select collaborators and members of the VSCO community to come in, utilize our studio space, and create — for free. We want to offer you a chance to create in our studio in NYC’s Nomad district. Designed to be both a work space and a blank canvas, it includes a permanent cyclorama and some gear for you to borrow, enabling any project to be brought to life. VSCO Open Studio sessions are available once a week in 2-hour blocks. At our VSCO NYC office in Nomad. Will VSCO Open Studio be available in other locations? Yes it is, but we have a strict cancellation policy. If you cancel within 72 hours of your session, you forfeit a deposit of $250. You will also be responsible for any damage to the space or any borrowed equipment. We want to help (and meet!) people who are passionate about what they’re doing. In your request, tell us what’s exciting about this project, or why it’s important that you complete it. If you have images or visualizations that would help us understand better, upload them in the request form. If, at the end of your session, you realize you need more time, you are welcome to submit a new request for a new session on a different day. The studio is inside our VSCO NYC office, so unfortunately each session is limited to two hours maximum. Six people max. If you’d like to bring more than six people, please let us know more about the scope of your project. Yes! VSCO Open Studio is BYO camera, but we have a permanent cyclorama and basic lighting equipment for you to use. See an additional list of items available for you to use in our request form. We’ll be responding directly to requests that are approved for booking. Due to the volume of submissions, we will not be able to reply individually to everyone. Why is VSCO Open Studio for non-commercial projects only? It’s important to us that your personal passion projects are given the opportunity to live. The ideas that excite you shouldn’t be a forgotten scribble in a notebook, shelved indefinitely until you can afford an exorbitant studio fee. We’ve been providing you with a digital space to create and share honestly, and now we want to do the same in a physical space. What are some examples of work that has been created in the VSCO NYC space?